The private pay rate for room & board at the facility is $335/day (approximatly $10,000/month). The Beechwood Home also accepts Ohio Medicaid, VA Contracts and MyCare Ohio Aetna/Molina insurance to cover this expense. 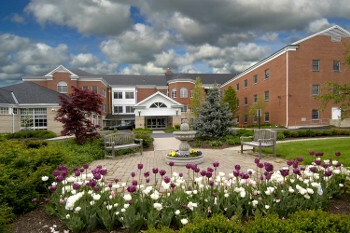 The Beechwood Home currently has a maximum occupancy of 80 beds, 76 of which are in private rooms. If you are interested in residing at our facility, it is encouraged that a Waiting List Application be completed in addition to submitting medical information for the Admission Committee to review. The Admissions Coordinator will contact you if your application has been selected for further review.